PLASTIC took the form of a docubition: a combination of documentary and exhibition. 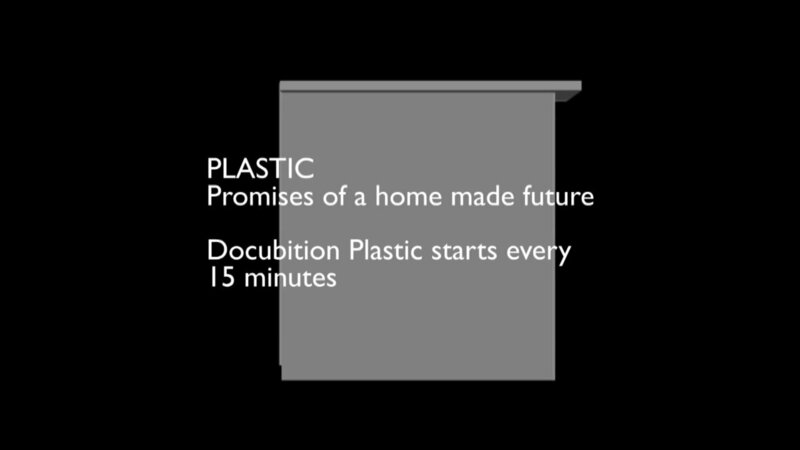 In this docubition, visitors followed the history of plastic, with all its highs and lows. The story then zoomed in on the technological innovation of 3D printing, an industry still in its infancy. The project Plastic, Promises of a Home-made Future began with a broad research question to designer Tal Erez: What is the influence of plastic on contemporary society? Erez immediately pinpointed a pressing issue: what if plastic becomes the new ‘consumer good’? The rapid growth of the 3D printing industry looks set to make this a reality. However, the 3D printing industry is still in its infancy, it is imbued with conflict (maker culture vs large corporations etc.) and there is relatively little research in to the subject. The outcome of Erez’ research was a linear narrative that exposes the key issues of conflict and calls on designers and citizens in general to take a stand on what the future of plastic could be. It was this linear narrative – which begins with broad brushstrokes and then zooms in on details before zooming out again – that led us to decide to present the research in the form of ‘docubition’: a documentary as exhibition and vice versa. Raw plastic as the new consumer goods. 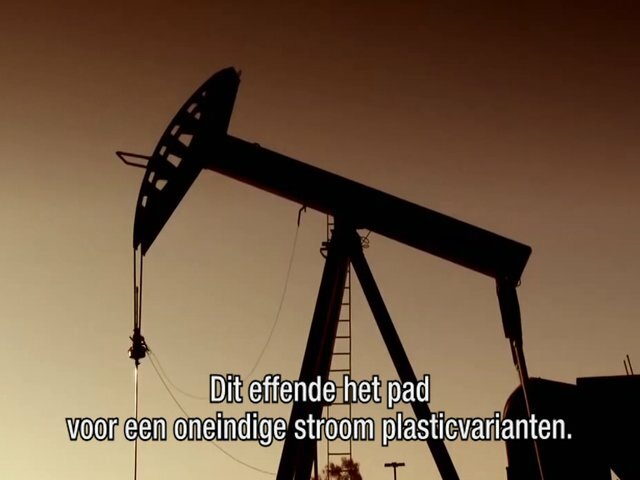 That was the concept, that started the research project on Plastic in 2012. This question branched out into sub questions, and the materials and approach of what would later turn into the exhibition. More about the initial concept and the development of the exhibiton scheme can be found In Tal Erez's research document. Manifesting the idea of a docubition was not simple. Working with Geert van de Wetering from Submarine as the exhibition’s documentary maker, we struggled with the question how to create a documentary in space rather than in time. The script was the first important step in creating a mutual narrative. The next step was to find the right balance between the idea of the narrator as the leader of the story while at the same time offering the ultimate quality of an exhibition, in which the visitor himself can be seen as editor of the content, by choosing where to linger and for how long. We decided to superposition the documentary on the exhibition, letting it take over the space once in a few minutes and then freeing it up again. While the narrative was now directed and narrated, it was a brief point to the designers that there would always be an escape route from that dictated storyline. This change in atmosphere was made possible by studio Daphna Laurens that proposed to use curtain screens allowing us to create several cinema halls in space. The graphic design by studio Team Thursday also took the notion of the docubition as a starting point. Inspired by the activistic quotes that documentary posters often characterize, they proposed a strong and bold visual language. It comprised captions, routing, posters, digital cover, invitation, flyer etc. The documentary, being the red thread throughout the exhibition, consisted of the welded the film material that Tal Erez found in his research. We are very grateful for all parties that allowed us to use fragments of their footage for this purpose.